Are you looking for a Traditional Locksmith who still repair locks as well as make keys to locks, including car ignitions and door locks, whether mortise or cylinder locks. As well as opening locks and fitting locks, whether wooden, metal or UPVC doors. Who have been established at the same premises in North London, for many years. And most importantly, will give FREE advice on any lock problem you may have. Then NORTH LONDON LOCKSMITH LTD. are the Company you are looking for. North London Locksmiths Ltd. a Traditional Locksmith Company. IT MAKES SENSE TO USE AN ESTABLISHED LOCKSMITH COMPANY, WHEN DEALING WITH HOME SECURITY. WHERE A MEMBER OF OUR LOCKSMITH TEAM WILL BE HAPPY TO HELP YOU. North London Locksmith Ltd. has been established at 79 Grand Parade, Green Lanes, Haringey, London N4 1DX as a Traditional Locksmith for more than 30 plus years and as you can imagine have built up a large stock of old and new parts of locks. Our staff take the old fashion view of repairing a lock, where possible, we will also make up parts to a lock. We cut keys to every type of lock including standard cylinder locks, deadlocks, safe locks and ignitions to cars. We can also undertake copying of Transponder Keys. 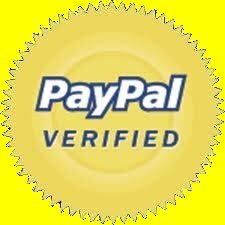 We also sell through our Keys-Locks-Padlocks WEB Shop, all makes and types of locks to anywhere in the U.K. and Europe. Our shop stock all types and makes of different locks. North London Locksmith Ltd. Offer the old type of Traditional Locksmith Service that used to be common place in our high streets. Even on site we always go out of our way to repair locks, if they do not need replacing. We are also experts in the Opening, Replacing and Repairing of UPVC LOCKS. WE OFFER TRADE DISCOUNTS TO REGISTERED BUILDERS AND LOCKSMITHS, PLUS PROPERTY COMPANIES. TRY US YOU WILL BE IMPRESSED. From our shop in North London we cover all aspects of the Traditional Locksmith Shop Services, from standard key cutting to a full Master Suite. 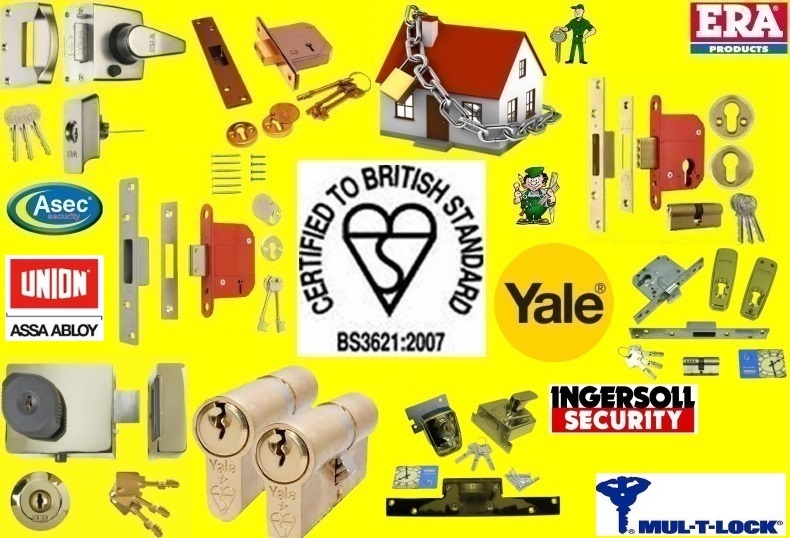 We sell every type of lock, whether it is a cylinder lock or a mortice lock, as well as UPVC locks. We have become known as the Lock Shop of North London. Our Locksmith Shop Service are agents for most leading makes of lock manufacturers and a main dealer for MUL-T-LOCK we can cut their registered keys, with the registered card. North London Locksmith Ltd. offer a Locksmith Service, to cover all of the Locksmith trade, we will always try and help you find what you want. NOT LUCKY ENOUGH TO LIVE NEAR OUR SHOP??? KEYS-LOCKS-PADLOCKS NUMBER "ONE" WEB SHOP. 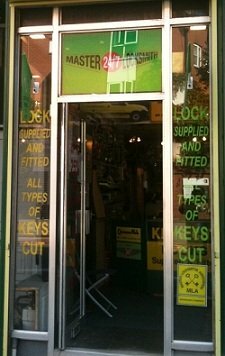 For the Number "ONE" Traditional Locksmith Shop Service. As well as selling Home security, locks, key copying and repairing locks our Locksmith shop from we also offer a full fitting and opening service, using only qualified locksmiths and Carpenters. If you live anywhere in these areas, you are not a great distance from our Shop. OUR FULLY SKILLED CARPENTERS AND LOCKSMITHS, OFFER A FAST 24 HOUR SERVICE IF REQUIRED. If you would like any advice or an estimate on any type of lock or key, or, our Locksmith shop services, please fill in the form below or telephone us on 0208 800 6041, where a member of our team will be happy to help you.